Posted in News on March 21, 2019 by Brandon Costa. For more information regarding the SVG College Summit, visit www.svgcollege.com. If you have questions regarding the event, email Program Director Brandon Costa at brandon@sportsvideo.org. If you are a technology vendor that would be interested in exhibiting at this year’s summit, email SVG’s Managing Director, Worldwide Sponsorship Development, Rob Payne at rob@sportsvideo.org. 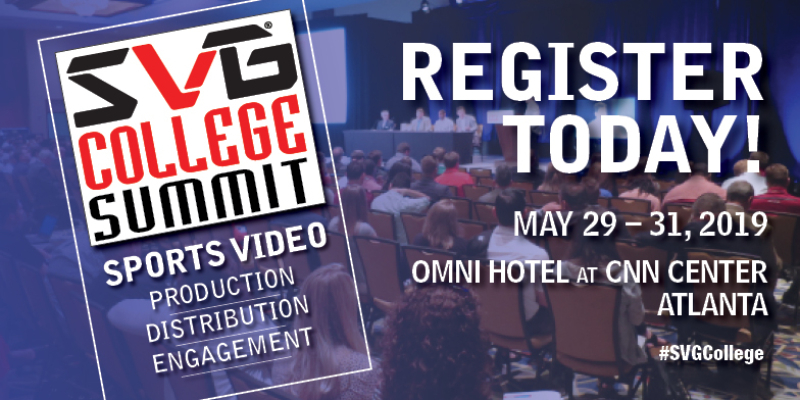 You can also follow the event on Twitter using @SVGCollege and #SVGCollege.